If you aren’t at work, you are spending time at home, usually both indoors. You get back from work and rejoice that you’re finally back, but the environment has become all too familiar. Perhaps a little cramped? You want a quiet weekend and recharge for work, but the kids have other ideas; your music tastes couldn’t be more opposite. In the evenings their friends are over, gathered in the living room watching Love Island, but you really just want to settle down on the sofa and catch up on The Great British Bake Off. You don’t want to isolate yourself from the family by shutting yourself away in the bedroom, but everyone needs their wind-down time! This is exactly what our customer did! 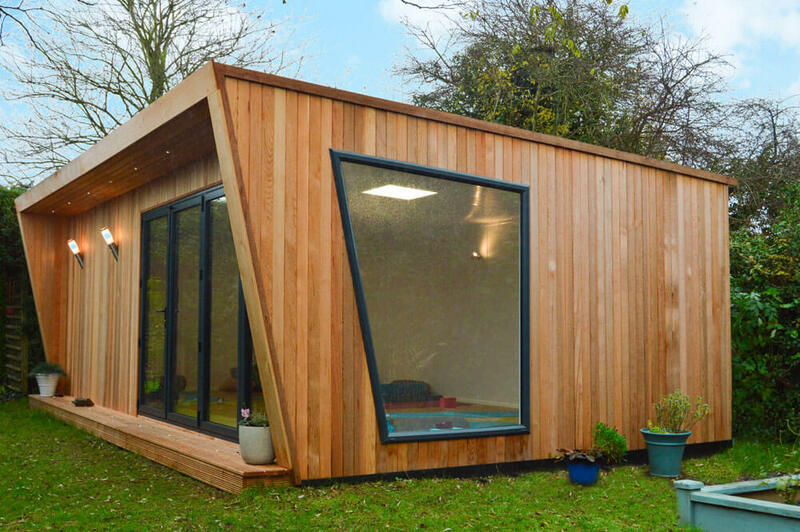 They had a fantastic 7m x 4m Inspiration garden room installed. 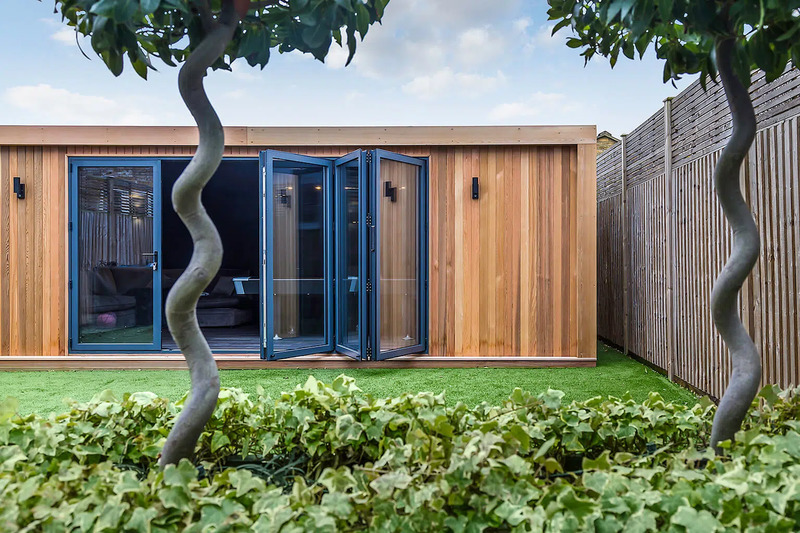 We asked our customer a few questions about their new chill out garden room and experience with Green Retreats! What is it you use your office for? 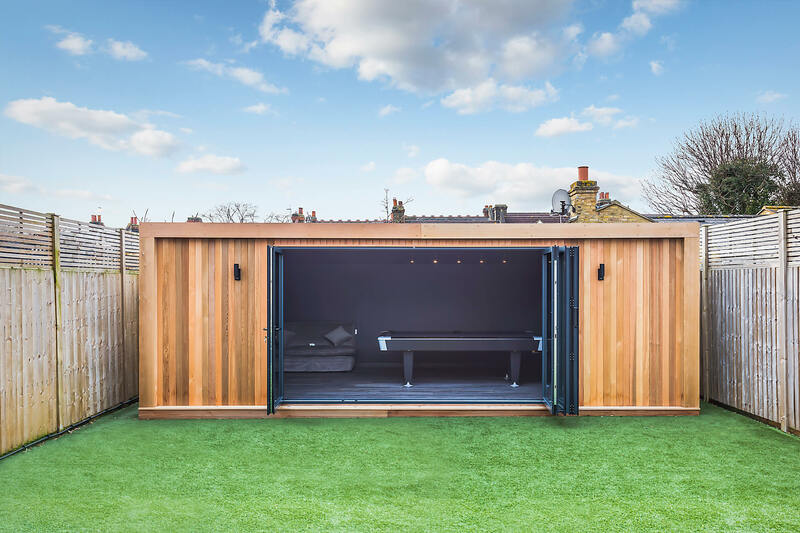 Our garden retreat is used purely for recreational purposes. 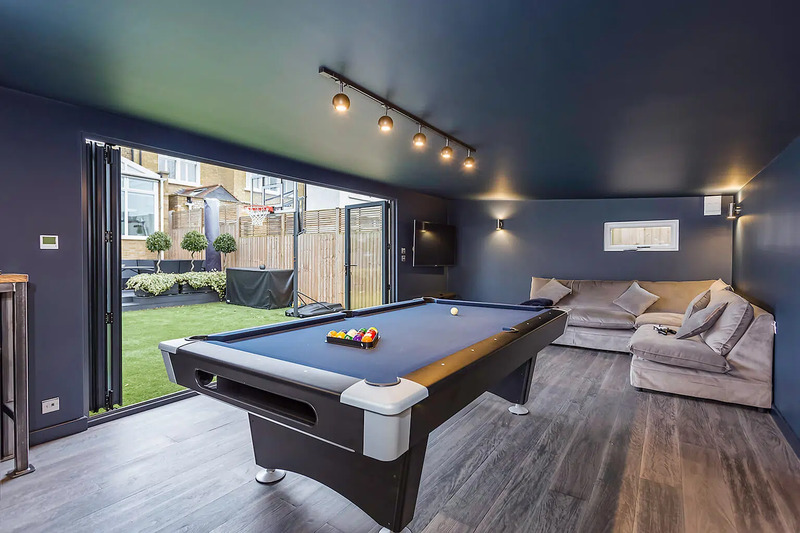 It features an American 8ft pool table, Xbox, SkyQ, corner sofa bed, bar table/stools, and underfloor heating. 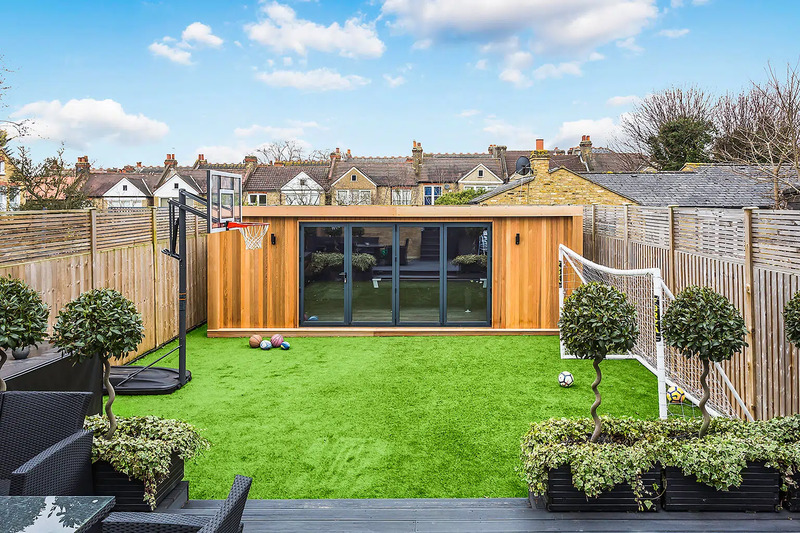 Has your garden room improved your lifestyle? Most definitely! Our children tend to use it more. 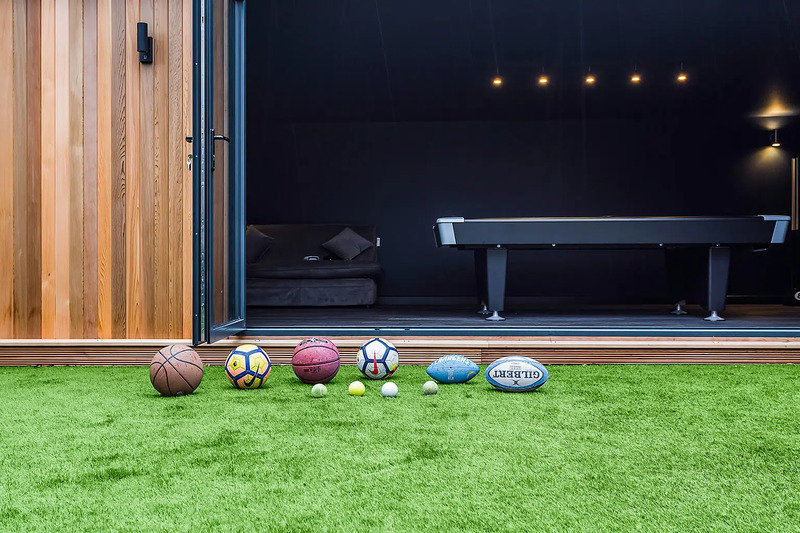 It’s a great entertaining suite for them and offers us parents a great alternative if we’re looking for some tranquillity! Is there a particular reason you chose Green Retreats? Yes, our neighbours had one similar to ours installed in their garden*. 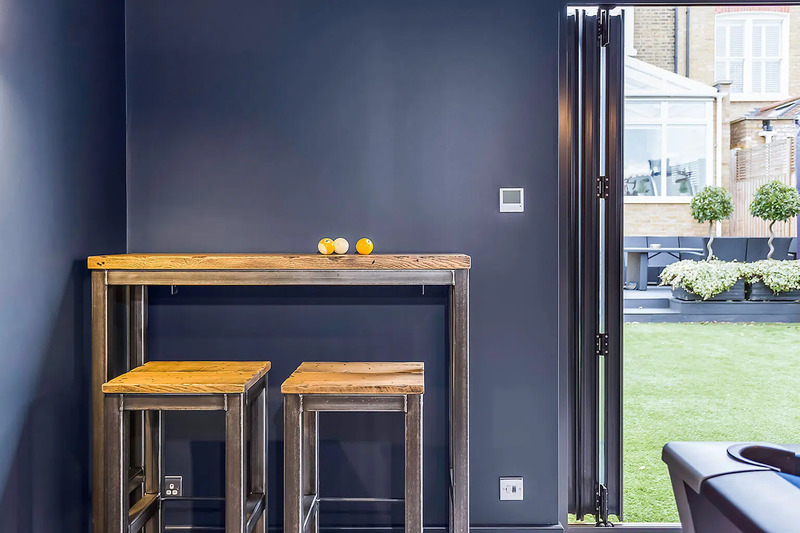 They recommended Green Retreats unreservedly in terms of build quality and customer service. What other options did you consider (in place of Green Retreats)? 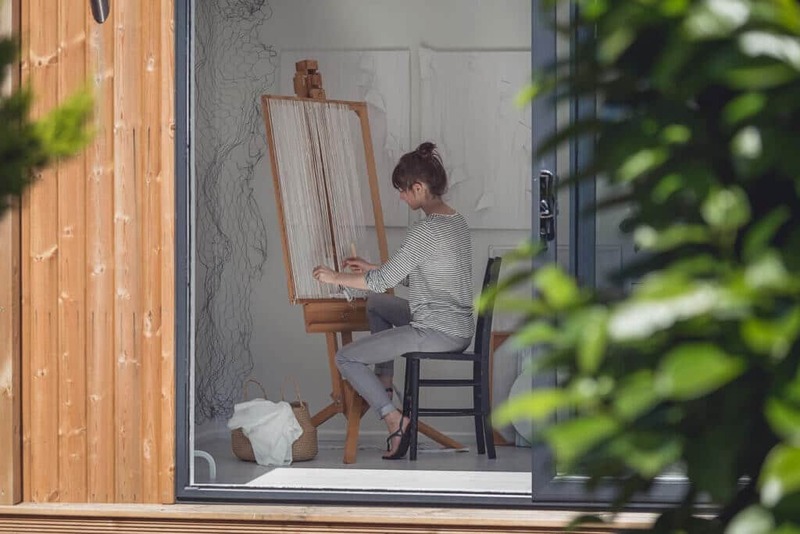 A loft, but as we live in a conservation area the application process is fraught will all sorts of obstacles. Besides, this proved to be a far more cost effective and practical option without any planning application required. How was your experience with Green Retreats? We would recommend Green Retreats without hesitation. The process from start to finish was seamless and you offered a genuine personalised service throughout. The build quality and aesthetics of the structure is second to none and is a truly wonderful extension of our home.